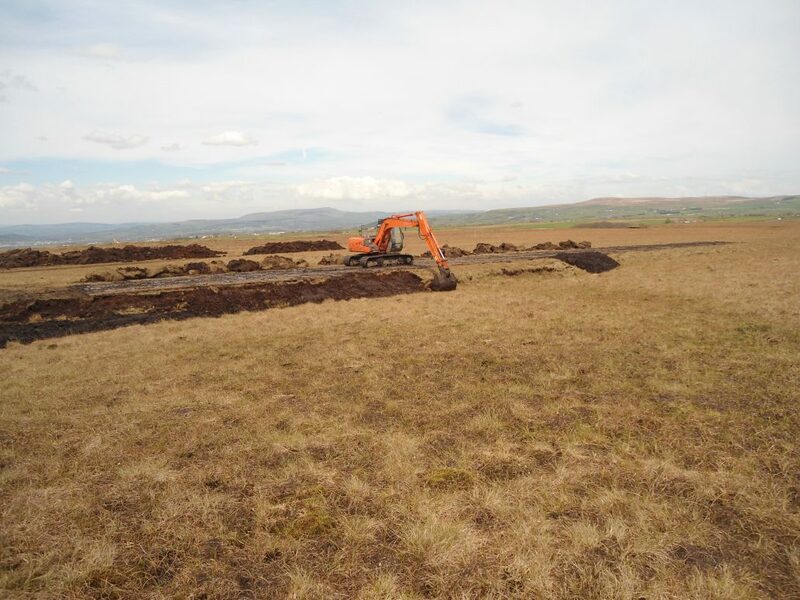 Conservefor Limited where appointed by Gallifordtry to undertake the translocation of 1000’s of tonnes of peat as part of the development of a new windfarm on Oswaldtwistle Moor. 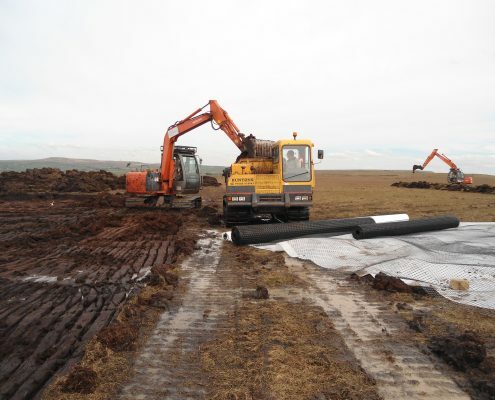 Before the peat excavation operation began Conservefor peatland specialist briefed all plant operators and dumper drivers on the peat shift operation methodology and the importance to minimise disturbance during excavation and transportation. The receptor sites were either severely eroded grip systems or gullies and were located as near as possible to the donor site. 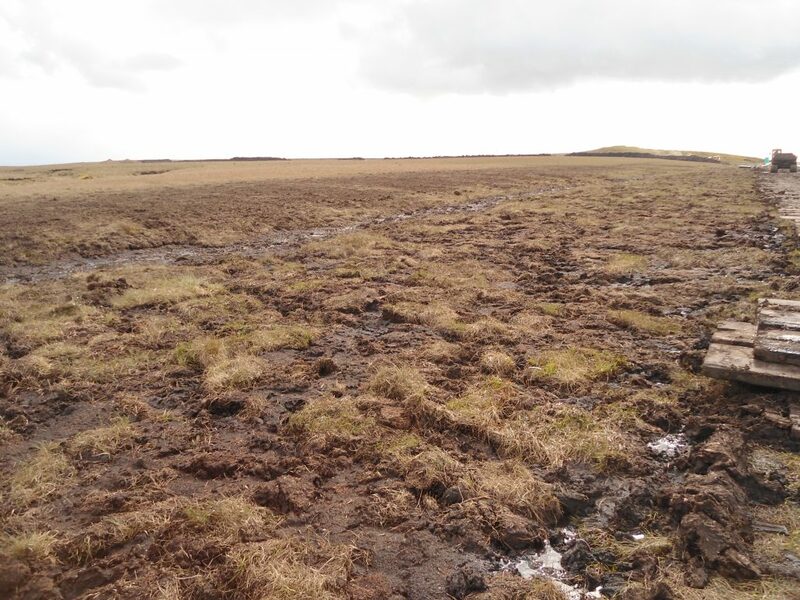 For the duration of the peat translocation each site was linked via hand held radios to prevent any delays and confusion during the extraction and delivery of peat. The constructed roads and a network of bog mats were used to transport the extracted peat to the receptor sites. Under the guidance of a Conservefor the surface vegetation was removed ensuring a minimum 500mm depth turf, known as the acrotelm, was left intact. The turfs were placed into the back of dumper vehicles, vegetation side upwards. Turfs were only stacked two deep. They were taken to the receptor site and carefully removed following instructions given by the Conservefor. 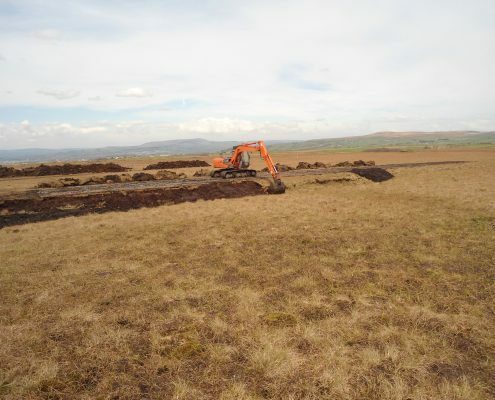 Once the top layer of vegetation had been removed the peat was extracted in layers, transported to the receptor site, and unloaded as instructed by the Conservefor Site Manager. 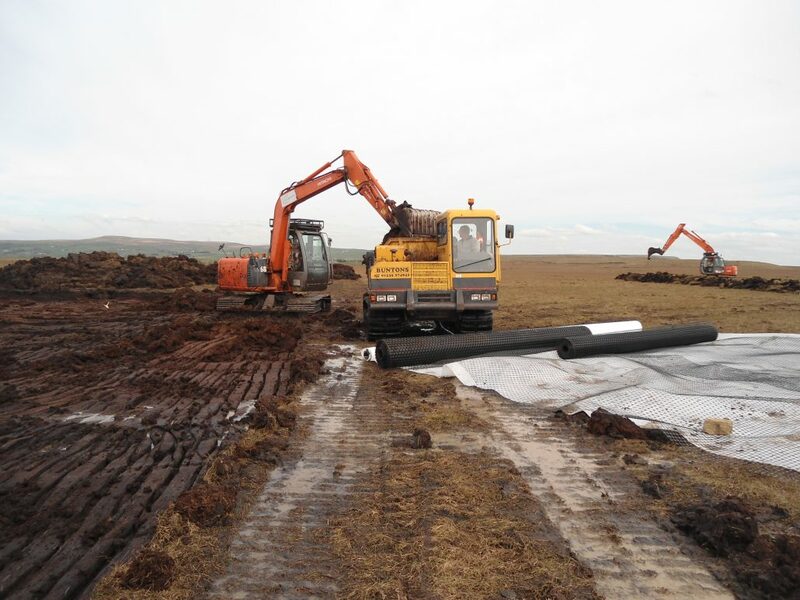 To prevent aeration and resulting desiccation the peat was handled as little as possible. Desiccation causes the peat structure to decline and results in oxidation and loss of peat. Prior to the translocation operation taking place, to prevent peat slide, a series of stone dams where installed along the entire length of the chosen grip/gully. 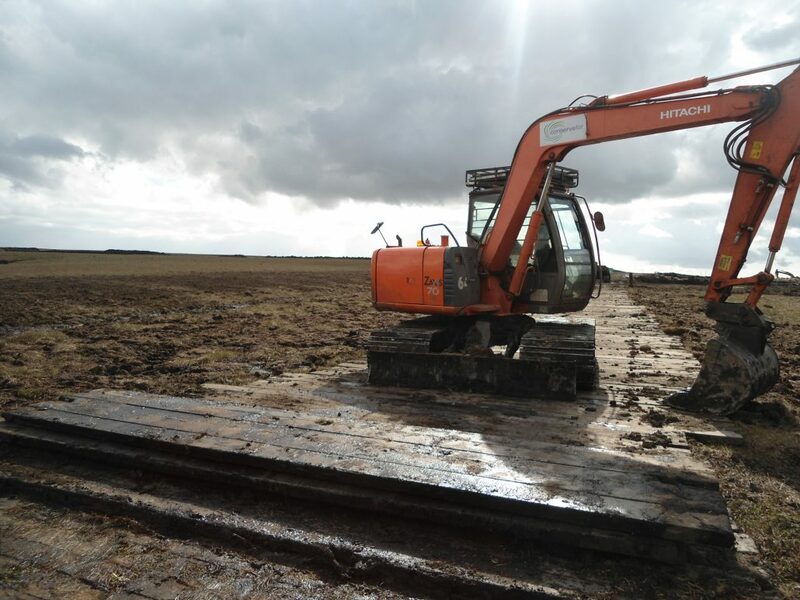 Operating eight tonne ‘Bogmaster’ excavator fitted with 800mm tracks our skilled team started the process of relaying the peat. The peat was levelled and graded in the grips/gully then the turfs were placed vegetation side, butted together and firmed into position.